I feel so happy and excited to write this blog post. 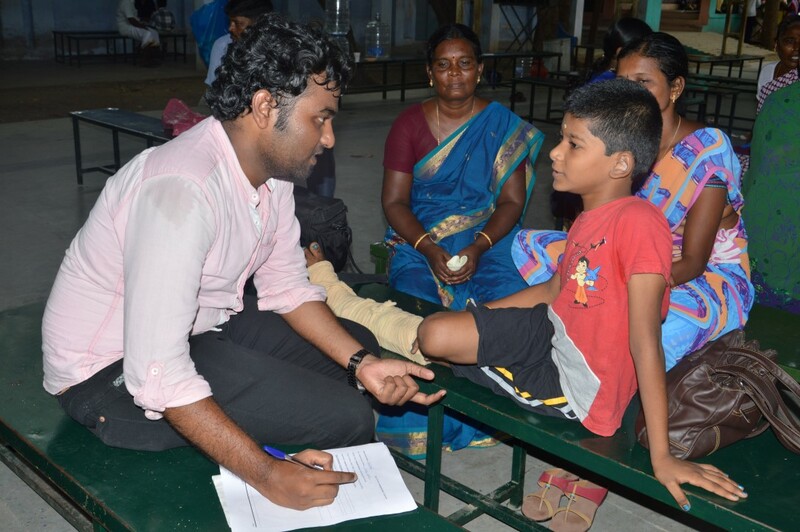 It’s been one year since we have started the SMILE 100 initiative. 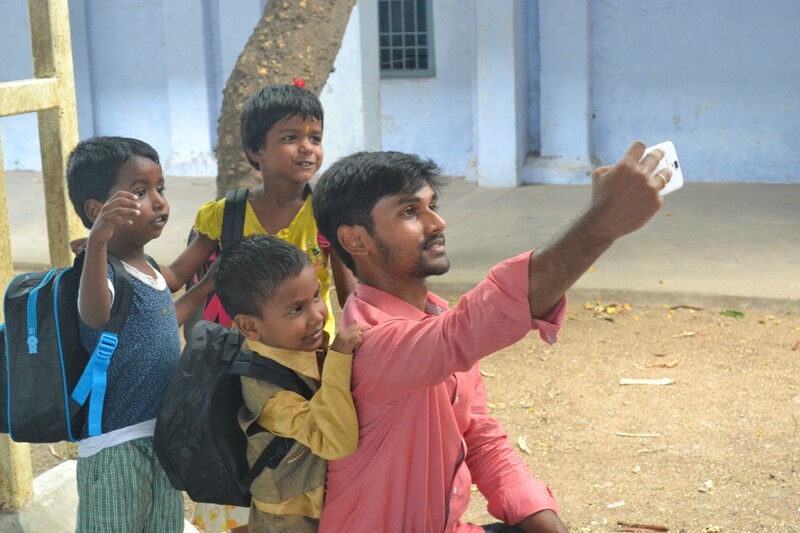 Smile 100 is an initiative of Team Everest NGO through which we have identified 100 parentless and single parented kids in Arni, Tiruvannamalai District, Tamilnadu, India and sponsoring for their education. It is not just the financial assistance. 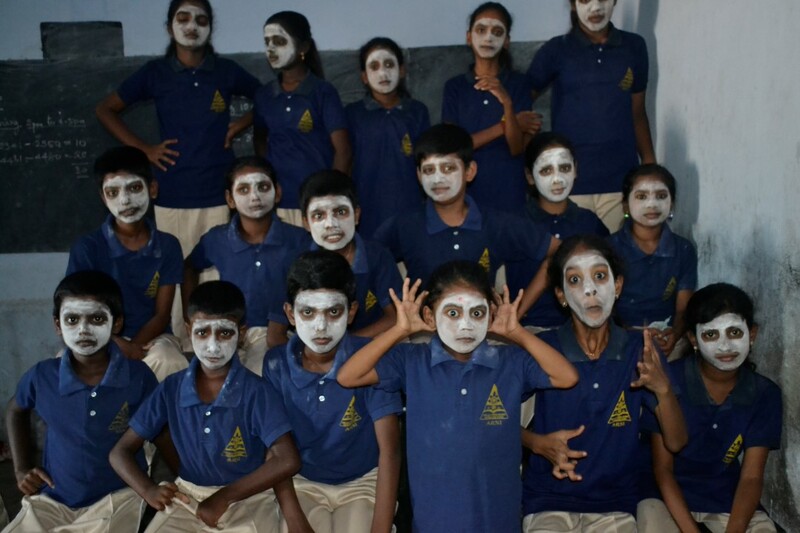 We conduct daily free tuition for them and do round the year activities for all the 100 students. You can check our Smile 100 annual report – 2016 to know the various activities that we did for children in the past 1 year. 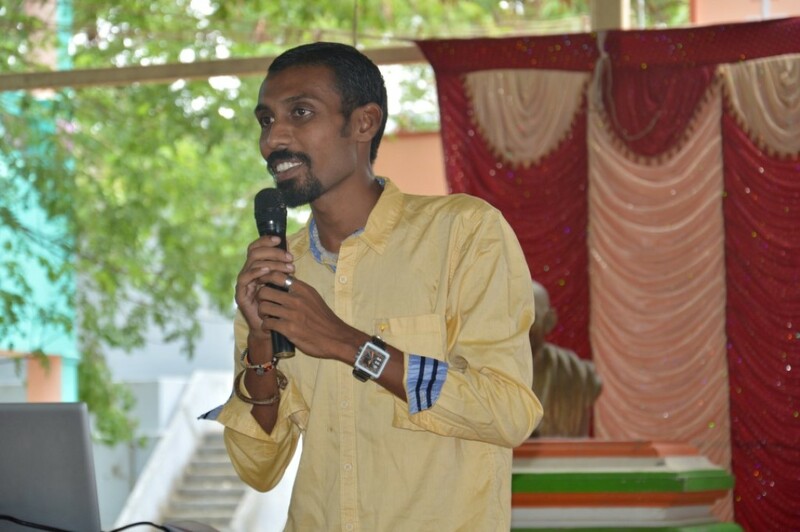 This blog post is about the celebration of 1 year completion of Smile 100 initiative – Smile 100 annual day 2016. 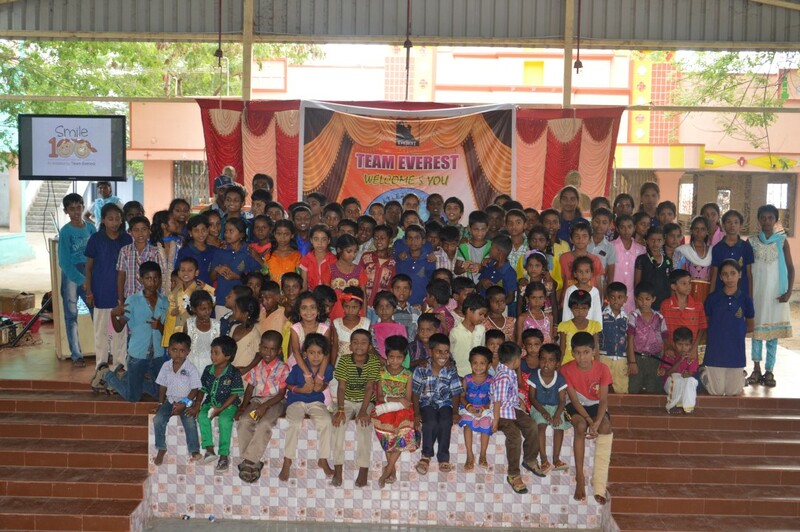 We celebrated our 1st Smile 100 annual day on 29-May-2016 in Arni. 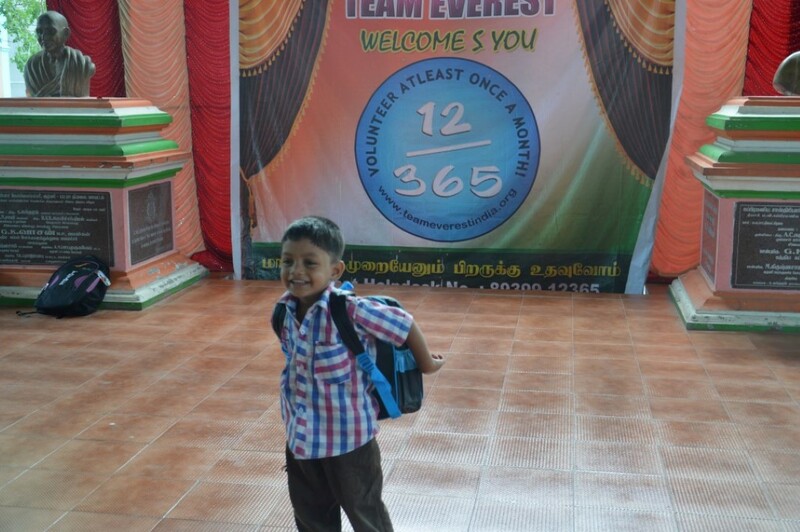 All kids along with their parent and relatives joined the event. 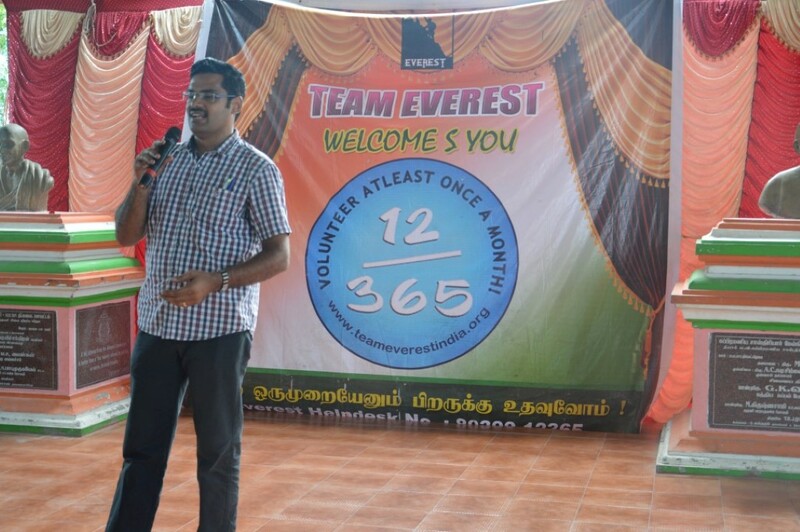 It’s heartening to hear the feedback from various students and parents. Tears on the eyes of parents during the event showed how much this initiative made a difference to them and their kids. 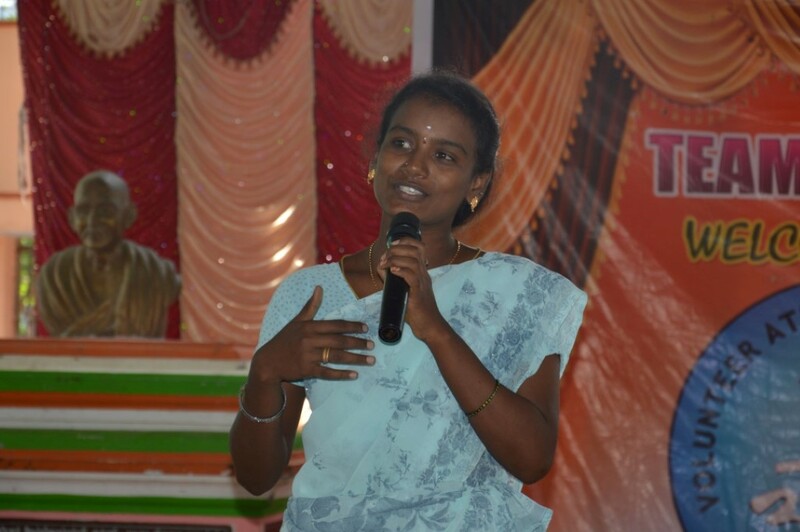 Valli, one of the parent of our Smile 100 student (Mukesh, UKG) sharing her feelings on stage during the Smile 100 annual day event. 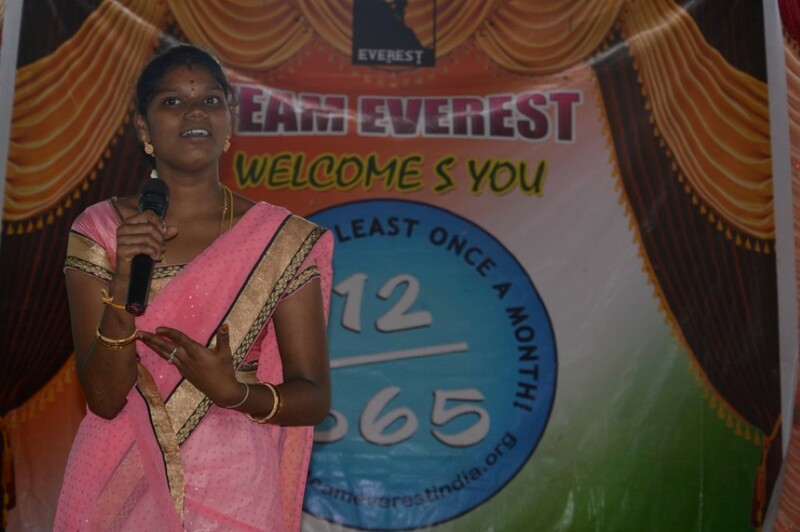 She told that Team Everest has made a huge difference to her while her own brother have not given her even a rupee. 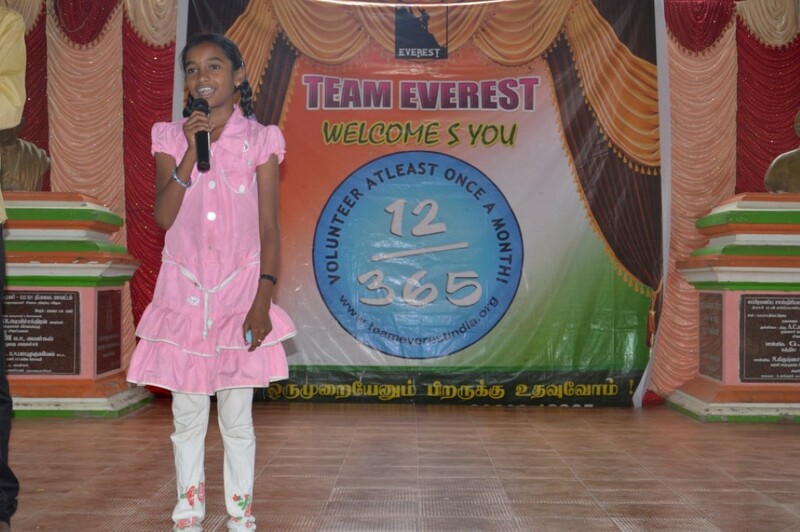 One of our Smile 100 tuition center teacher Mahalakshmi sharing her last years’ tuition experience with Smile 100 kids. 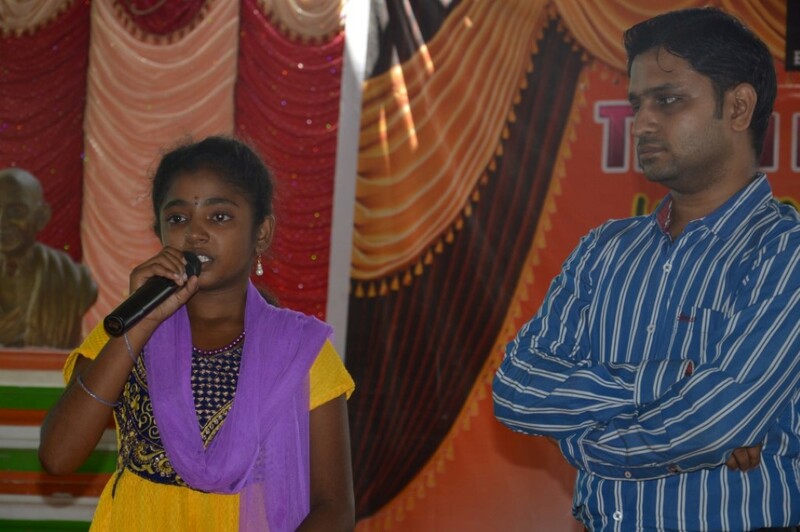 Jayashree, our 8th std student shared her story on stage during the Smile 100 annual day event. She lost both her father and mother. 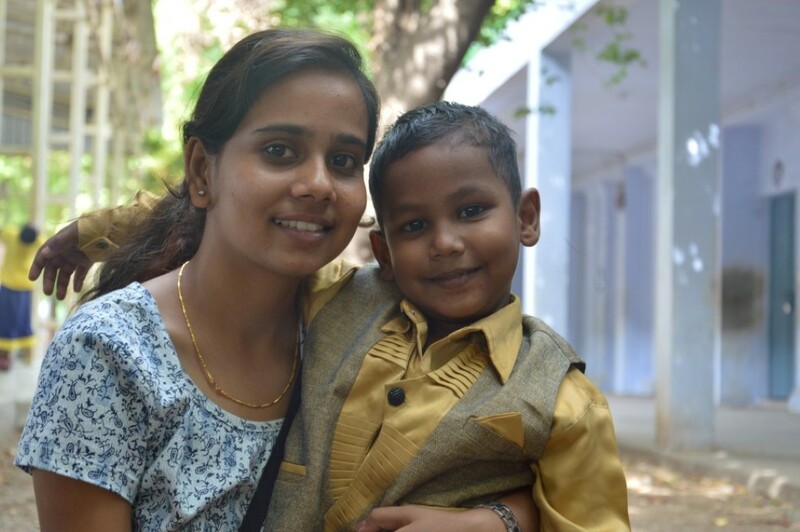 It is her grandmother who is staying with Jayashree and helping her. 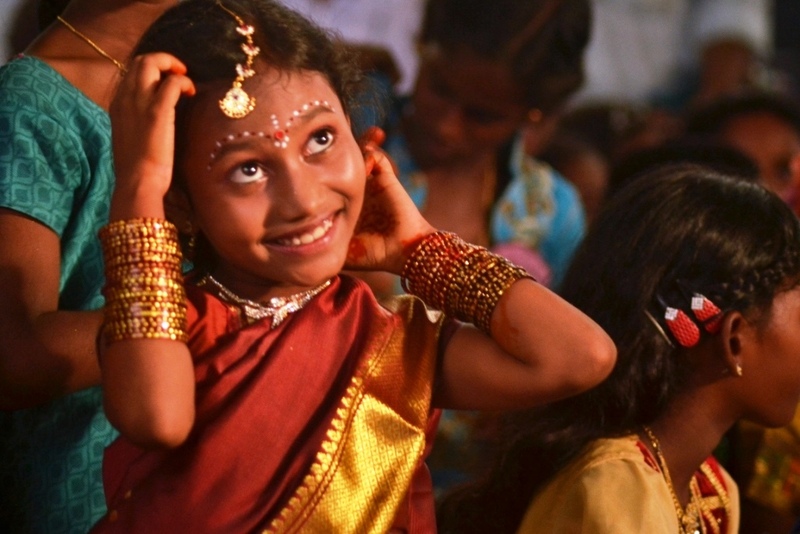 Her grandma earns Rs 13 per hour for her work. Volunteers who joined our event interviewed the students and parents to create a profile of them. 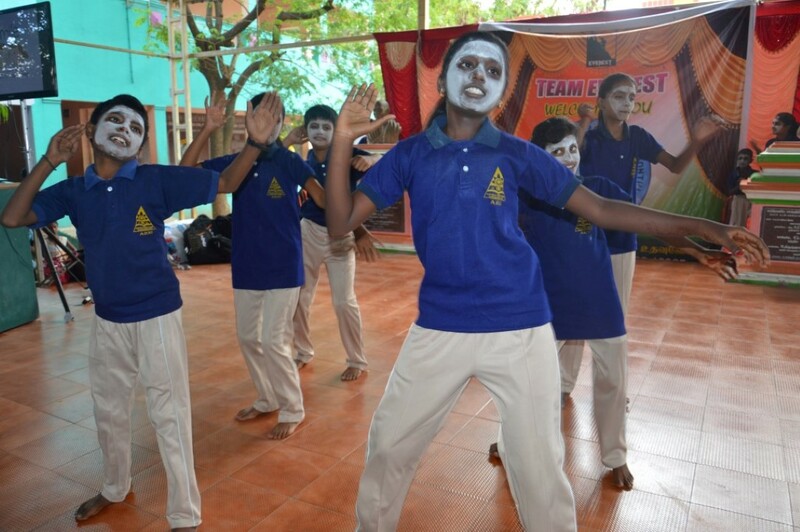 Our Smile 100 students performed mime during the Smile 100 annual day event! 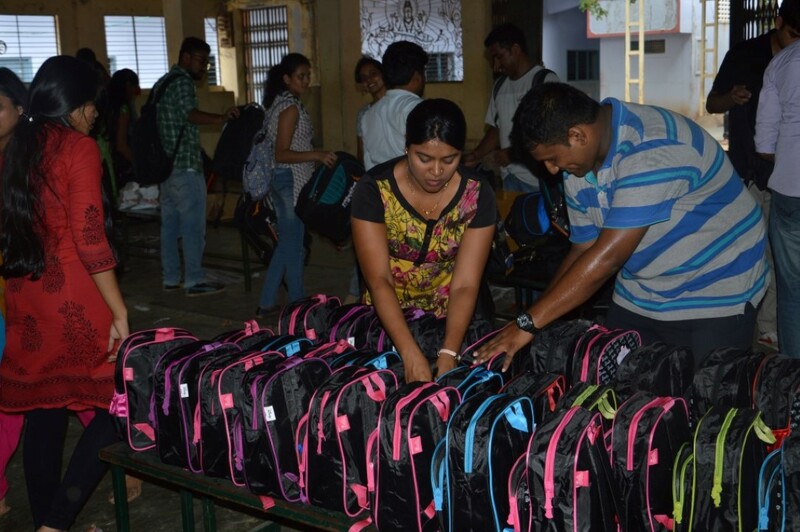 Volunteers packing bags, lunch bags, lunch boxes, bottles, dictionaries and stationaries donated by Lennox Company and other donors. 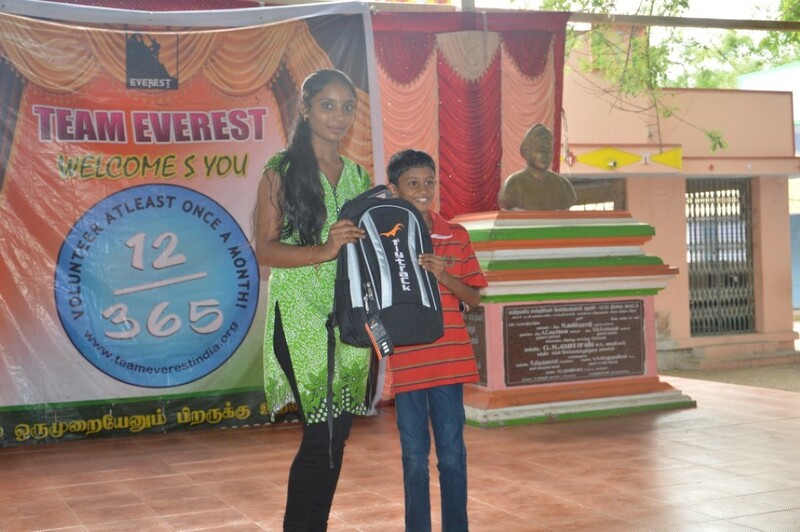 We distributed school bags, lunch box, water bottle and stationary to all Smile 100 students. Thanks to Lennox company and the donors who sponsored these items for students. The happiness can be seen on their faces..
One of the Smile 100 UKG kid Anwar Basha was not ready to leave the stage even for a second. Such cuteness! 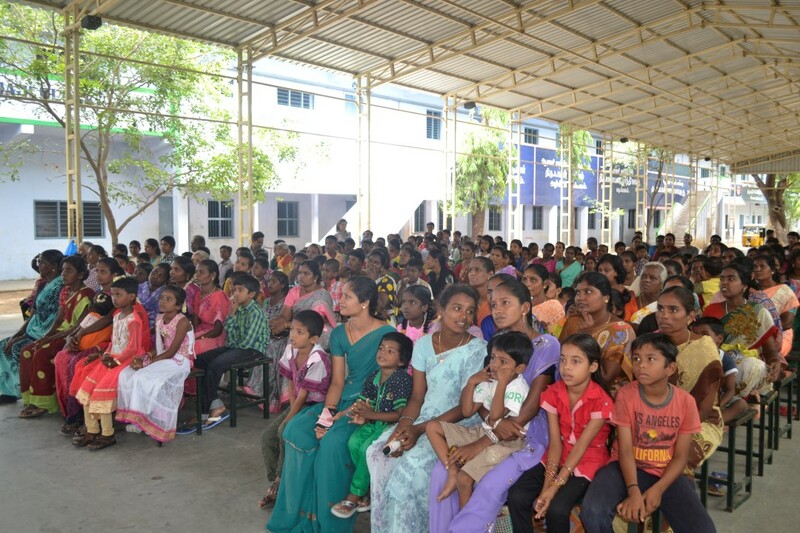 The 100 students whom we sponsor. Thank you volunteers for making it happen! 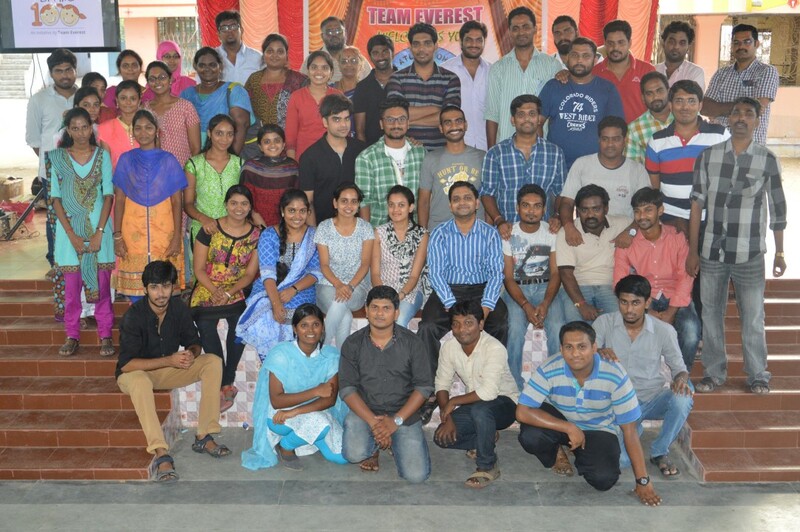 Thanks to all the donors and volunteers who supports our Team Everest Smile 100 initiative. This initiative is not possible without support from people like you. You can make an annual donation (Min Rs 2500 per year) or a monthly donation (Min Rs 200 per month). Keep supporting. 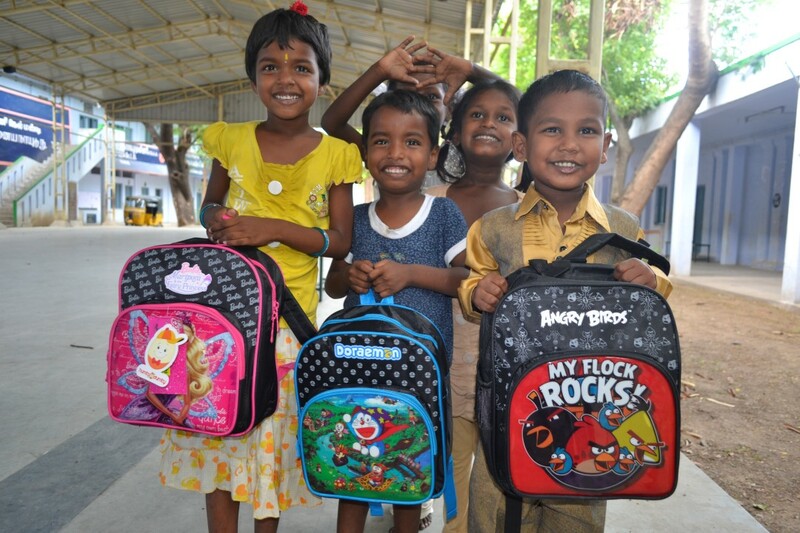 Let’s make this 100 children smile forever!